When one ex-spouse wants to move, and there are children involved, it can be hard on the whole family. Moving away can make visitation and shared custody far more difficult and expensive, and reduce the amount of time that parents and children can spend together. New Jersey courts recognize how disruptive it can be when one parent wants to move, and New Jersey law places limits on a custodial parent’s ability to relocate with a child outside of the state. N.J.S.A. 9:2-2 prohibits divorced or separated parents from removing their children from the state without court authorization unless both parents agree, or unless the children consent if the court considers them old enough to make the decision. The Superior Court of New Jersey can decide a relocation case when the children are New Jersey natives or have lived in the state for more than five years. Removing a child from the state in violation of New Jersey family law is a criminal matter, with the risk of fines and imprisonment.Interference with custody is a third-degree crime which may lead to imprisonment for three to five years and a fine of up to $7,500, or both.If the child is taken outside the US, then the offense is a second degree crime, for which the penalty is five to 10 years imprisonment and a fine of up to $150,000, or both. A parent seeking to remove a child from the state must produce evidence to show that there is a “good faith” reason for the move and that the move will not be against the child’s best interest. The custodial parent showing that the move is requested to be closer to a large extended family that could help raise the child, or that the child will have educational, health, and leisure opportunities at least equal to that, which is available in the state the child resides. However, this list is not exhaustive, and there can be many other “good faith” reasons for a move. The custodial parent who is seeking to move must also present to the court a visitation schedule that would allow the child to maintain a close relationship with the parent remaining in New Jersey. Once the custodial parent has presented this evidence, then it’s up to the non-custodial parent to prove that the move is not in good faith or is against the child’s best interests. 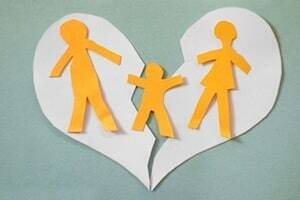 The custodial parent tried to disrupt the relationship between the child and the non-custodial parent in the past. There are better opportunities for the child in New Jersey. The move would take the child away from extended family in New Jersey. Again, this list is not exhaustive and there are many other reasons a move may be proposed in bad faith or bad for the child. The above considerations apply when one parent has physical custody and the other parent has visitation rights. When parents have shared physical custody of a child, then one parent’s removing the child from the state will be considered a request for change of custody, which is resolved based on the best interests of the child. If you have questions about relocating a child, we invite you to contact our Hackensack office for a free initial consultation with one of our experienced New Jersey family lawyers. Call us today at 201-345-5907 or send us an e-mail and let us help you with your New Jersey child relocation issue.